This soft sleep shirt by Shadowline® is the definition of cozy. A blend of modal and spandex create a luxurious fabric you’ll be eager to slip into at the end of the day. Available in multiple colors and patterns, this night shirt is as cute as it is comfortable. 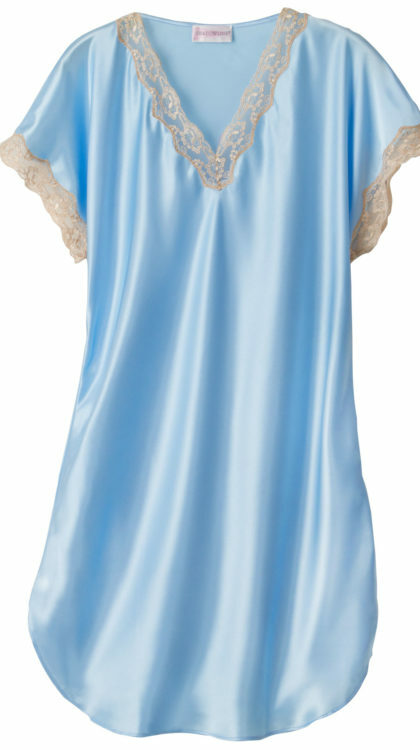 Pair it with our matching short robe from the Before Bed collection for a lovely sleep set.